Dr. Marshall Fagin is a Prosthodontist and as an international lecturer and educator for over 35 years, he frequently updates his colleagues on the most recent advances in his specialty, including cosmetic and implant dentistry and on complex major crown and bridge cases. In 2013 he received the highest honor given by his local Dental Society, the coveted Frank Stone Award, for his many years of contributions to dentistry, dental education and to organized dentistry. 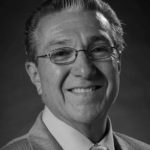 In private practice, he is also a part-time Associate Professor at SUNY’s Dental School in the Post-Grad Prosthodontic Residency Program and was instrumental in starting implant dentistry education there in the late 1980’s. He has conducted several “Hands-On” courses for dentists on “Anterior Esthetic Makeovers” at the school’s Esthetic Dentistry Education Center and for the University of Florida School of Dentistry’s Mastership Program in Fixed Prosthetics as well as Esthethics and Implant courses for AGD chapters. Dr. Fagin served as Prosthodontist adviser and presentor for several Implant Study Clubs over the past 26 years. He presents to Laboratory and Ivoclar sponsored programs around the country to help dentists get back to the basics so labs can provide them with better outcomes. He was voted by his colleagues to “Best Dentists in America” 2004/2005 and 2013, “Global Who’s Who Man of the Year” in Dental Health 2008, “Top Dentists” 2008/2014/2015/2017 and was elected to faculty membership in the Honorary Dental Society Omicron Kappa Upsilon. He was awarded Diplomat status in the International Congress of Oral Implantologists in 1994 and is a Fellowship recipient of the International College of Dentists for his contributions to Dentistry. Dr. Fagin also served on faculty for the Misch Implant Institute 1991-1993 (Detroit, Michigan) and 2005-2006 (Rochester, NY). Demystifying Occlusion – The importance of the occlusal exam and its impact on treatment planning and the diagnostic work-up is essential. Learn how the laboratory diagnostic wax-up will become the dentist- technician- patient blueprint. This essential aid will assist in patient presentation for acceptance and feedback, (often used for mock-up in the mouth) along with fabrication of provisional’s as the foundation for creating optimal ceramic artistry. Material Options – Learn guidelines in decision making for material choices from, PFM, Lithium Disilicate (e-Max) and Empress to All Zirconia and how this impacts preparation design which plays an essential roll in esthetics and longevity. Impressioning – Always the #1 complaint from the lab whether conventional or digital, learning techniques that will provide greater accuracy and save time at delivery through a step by step protocol is paramount. Occlusal Bite Records – Learn techniques that capture accurate bite relations from a single crown to full arch and how these time-saving methods will minimize adjustments and remakes. Shade selection – Learn how to communicate with your lab to decrease compromised shade accuracy. This will minimize returns, resulting in satisfied patients and more referrals. Understanding proper photographic skills and angles, shade guide armamentarium, shade mapping and digital options will be reviewed. Cement Choices – A simplified explanation for selecting the appropriate cement option (the what, where, when and why) will not only aid in longer term outcomes and less breakage, but also aid in final color matching. Learn how to get the patient to say “Yes” to treatment! Learn how to resolve several fixed prosthetic challenges through improved treatment planning, communication with patient and lab, and multiple techniques leading to predictable and time-saving results. Understand the impact of diagnostic wax-up on case acceptance, tooth preparation, temporization and final case outcomes. Improve critical techniques in impression making, bite records and shade selection. Understand the rationale for ceramic material selection and its impact on tooth preparation and cementation options for best final outcomes.